New SilverFast Archive Suite offers optimized Image Archiving and Processing. How to get Brilliant Pictures from your Kodachromes! Update to Highest Precision and Quality IT8-Calibration Targets now! "Thanks to both Scanner and Printer Calibration options, LSI SilverFast Ai/Ai Studio software gives its users the opportunity - at a very competitive price - to create color profiles for their devices, and thus improve the color consistency of the workflow." Innovation- and trendforum, global platform for business and communication of the whole imaging sector – that’s Photokina! LaserSoft Imaging® will be part of Photokina 2008. Get more information here. 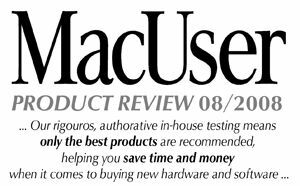 At the end of August we proudly received an excellent test result by highly renowned MacUser magazine (UK). Its latest issue acknowledged the exceptional quality and notable functionality of SilverFast‘s Ai Studio 6.6. Especially highlighted by the magazine was the very comprehensive and convenient processing of slides, negatives and reflective originals. Batch-Scanning - now available with SilverFast SE! As of the 13th of August 2008 you can download a new release of our entry-level scanner software SilverFast SE. Newly added amongst other features is the possibility to scan in batch-mode. Once again we provide our customers with professional tools in the basic SE version. SilverFast SE is especially designed for entry-level users (read more here). 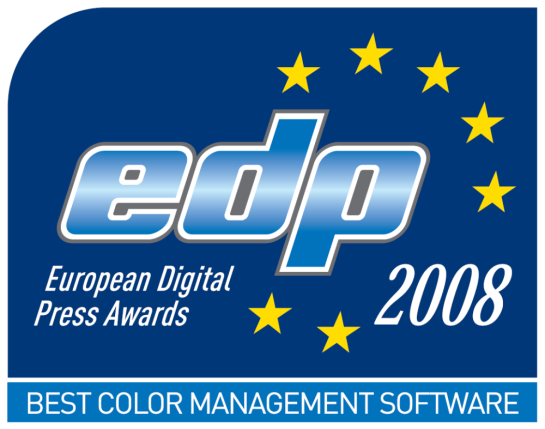 LaserSoft Imaging's SilverFast has won the prize BEST COLOR MANAGEMENT SOFTWARE OF THE YEAR 2008, awarded by the European Digital Press Association (EDP). EDP: "The award is given for improving the dynamic range of most scanners thanks to its Multi-Exposure® feature and for creating ICC profiles automatically." 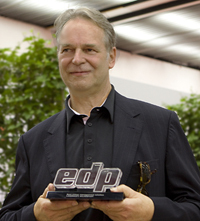 The EDP Association is made up by publishers of leading European magazines devoted to digital printing and associated products. These publications cover 15 European countries with a combined circulation of approximately 120.000 copies with a readership exceeding 240.000 graphic arts professionals. "If you want to know what the best digital product of the year is, make sure it bears the EDP awards logo. Every year the publishers of the leading magazines of the European digital graphic press award prizes to the best products." we discovered a conflict with Photoshop CS3 and SilverFast in combination with NIK Softwares Color Efex Pro. This problem will result in crashing SilverFast and Photoshop after the endscan. We have investigated this behavior and we are working on a solution together with NIK. For the moment we can give you a workaround for this problem. You would need to remove the NIK Color Efex Pro folder form your Photoshop CS3 Plugin directory. Just copy it somewhere else. Now you need to create an alias of the .plugin file and drag it back to the Photoshop CS3 plugin folder. Now everything should work again, we will keep you updated about the progress of this issue. ANNOUNCEMENT: SilverFast Printer Calibration with Profiler will be available here very soon. Plese check back and subscribe to our newsletter and we will inform you personally upon release. Thanks for your interest in SilverFast. Image Engineering, the independent German lab for testing of imaging devices (www.image-engineering.de) has taken LaserSoft Imaging's IT8-Targets through their painstaking precision-test procedure. Several IT8-Targets were taken from various production batches. They were all one by one measured and compared. The results were quite impressive: Color value deviation was between an average Delta E0.54 and 0.72, which is far below the perception threshold. "It can be stated that all IT8-Targets from LaserSoft Imaging have excellent quality. They are perfectly suited for scanner calibration and fullfil highest quality requirements". We are happy to announce the first new SilverFast Quicktime tutorial by Vincent Oliver, author of photo-i, who publishes scanner and software tests. He knows about imaging and and has an eye on user's most common difficulties in scanning and editing images.